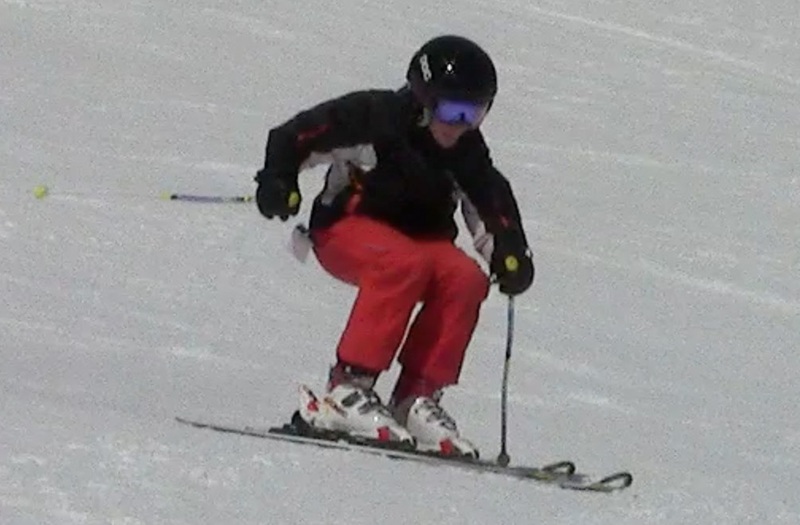 Stance refers to the way we stand on the skis and a good stance on skis is critical for balance and performance. Stance is not a static notion, because our relationship to the skis and the slope changes throughout the turn, but rather stance describes an average, a target, a "home base" we tend to find ourselves in more often than not, especially between turns. 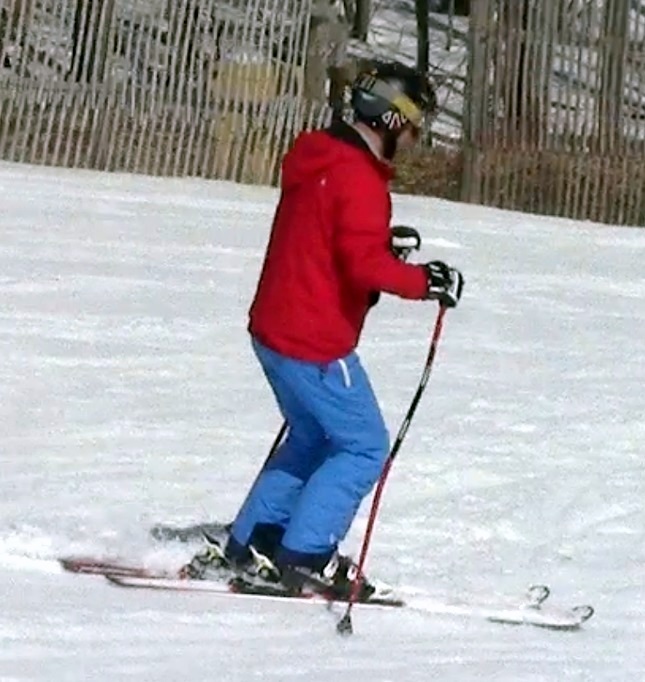 While the stance should be overall athletic, a narrow stance promotes mobility while a wide stance promotes stability, too many error on the side of stability, forgetting that skiing is more like dancing than sumo wrestling, see Stability with mobility and Skiing - the wide stance debugged. width - are the feet quite close or really far apart? pizza - are the skis really parallel, in a constant pizza slice or just all over? fore/aft - are we putting more pressure on the toes or more on the heel, or just about in the middle? shuffled - is one ski well ahead of the other, or are they rather even? tall - is the body really tall, with long legs, or too low and flexed, or just about right? stiff - is the body really stiff, making it hard to balance or is it relaxed and flexed at all major joints, ready to react? hunched - do we hunch forward at the waist at any point in the turn, or is the body fairly upright and stable? 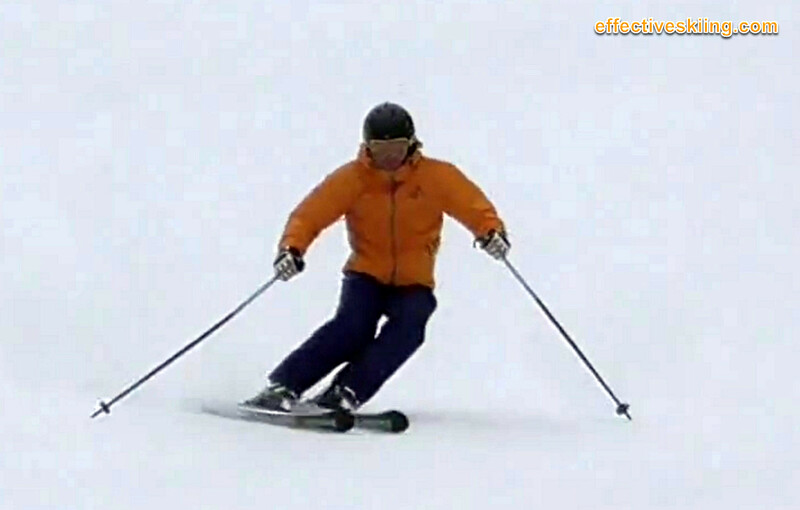 While you may think this kind of stance puts a big strain on the legs, in reality there is no weight on the legs right now, as the skier got a lot of performance from the previous turn and is Floating between turns. Viewed 377 times ( | Print ) this page.